A prolific illustrator, graphic designer, cartoonist, art teacher and muralist, Howard Freeman has been creating art since the first time he picked up a pencil. He often drew caricatures of his teachers and classmates while in school – some even purchased the finished product. Over the years, Howard has worn many different hats as an artist (yes, even a beret). Howard began painting murals on a whim in 1995 (see client list). 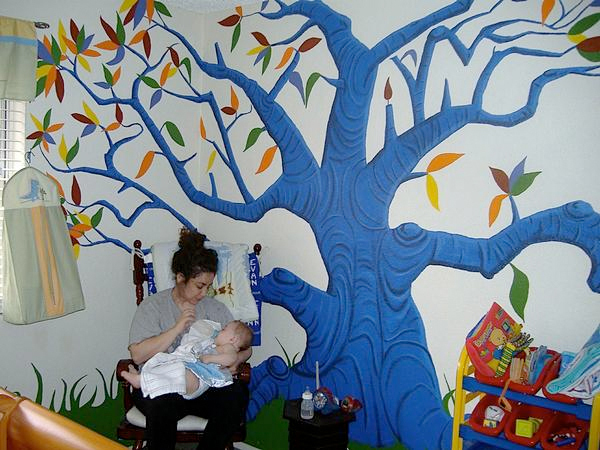 His first mural was a gift to his newborn niece. 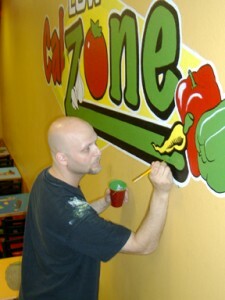 Since then, Howard’s creative wall paintings have adorned several locations — both residential and commercial — throughout Detroit, Los Angeles, Henderson and Las Vegas. 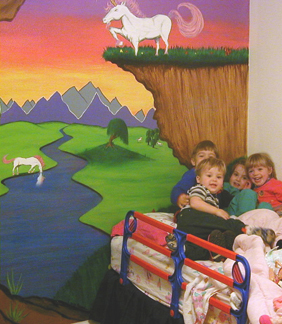 He has painted walls in restaurants, offices, day care centers, kids’ rooms, nurseries, car dealerships, law firms, tanning salons, watch stores, animal hospitals, video stores … plus many more. While working in the graphic arts industry, Howard has fused concepts of marketing, advertising, design, character creation and illustration in fields ranging from retail to advertising agencies to casino brand marketing. Howard’s design and illustration work has been published in newspapers and magazines, printed on t-shirts and displayed in major Las Vegas casinos. Howard has illustrated several picture books including the humorous children’s poetry book, Candy Store at the Edge of the Galaxy. He has taught art at elementary schools, art schools and also gives private art lessons. He is often commissioned to draw digital or traditional caricatures at parties and corporate events. 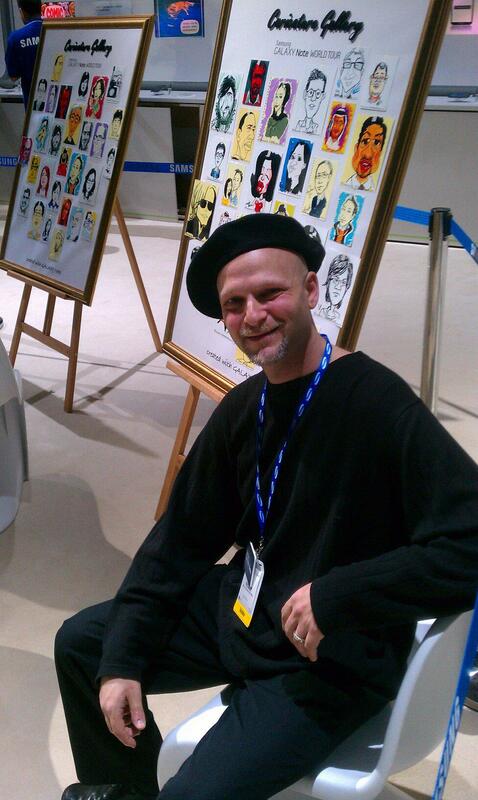 In 2012, he was one of two artists chosen by Samsung Mobile to draw caricatures at their booth at International CES demonstrating the Galaxy Note.